Research and planning are essential before you take the plunge and invest in your very own backyard swimming pool. And with winter almost behind us, now is the time to find out all there is to know about building your pool. Don’t be fooled by clever marketing or cut price deals. Not all swimming pool builders are as they seem. Find out how long your proposed swimming pool builder has been in business for. Check and see that they have the required licenses and insurances. Ask to see a selection of their completed projects and see if it is something similar to how you would like your swimming pool to look. How expensive is a swimming pool? Well, how long is a piece of string? The costs of swimming pools vary anywhere from $15,000 to in excess of $100,000 depending on its size, the materials used, the site and surrounding area, extra inclusions, design and landscaping. Setting a budget even before you select the pool’s desired features and additional extras is advised to ensure costs don’t blow out of proportion. Include council costs, excavation, site clearing and engineering fees if required, as well as fencing, landscaping, concreting and tiling. If opting for a package deal from your selected swimming pool builder ask exactly what is included and if there are any additional costs. 3. Ask yourself why you want a swimming pool? There’s so much more to a swimming pool than simply a place to cool off in the summer months. Knowing exactly what you will use your swimming pool is key to installing a swimming pool perfectly suited to your home and your family. Is your new swimming pool for elegant entertaining or more to amuse and occupy a gaggle of children? Are you looking for your very own outdoor oasis or will your pool be best put to use by serious lap swimmers? Are you looking to maximise on the surrounding outlook of your home or are you hoping your new swimming pool with act as an integration between indoor and outdoor living areas? Sit down with your swimming pool designer and carefully discuss what it is you hope to gain from the new addition to your home to ensure it is both as functional as it is aesthetically appealing. 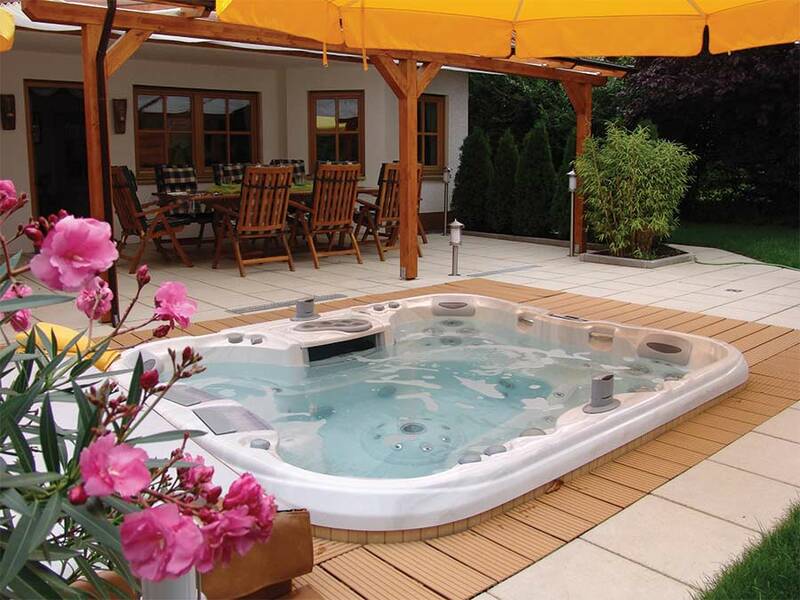 There are a variety of different swimming pool options available on the market including concrete, fibreglass and vinyl. Depending on your desired look and budget you may even look at infinity swimming pool designs or beach entry options. Fibreglass swimming pools boast a shorter installation time and are cheaper than their concrete counterparts, while still providing a modern, sleek look. Concrete swimming pools however are the most durable and provide endless design options while fibreglass swimming pools come prefabricated. Swimming pool fences are mandatory in Australia so the type of fence you want for your pool should be investigated even before a hole is dug in the ground. Fencing adds on average between $3,000 to $10,000 for an average swimming pool depending on the type of materials selected. The best fences are those integrated with the design of the swimming pool and the home so that the space is functional and flows freely with the surrounding gardens and living areas. Think about lighting or water feature options before you embark on the pool building process. Are you after a certain look like a Balinese inspired swimming pool or a tropical oasis complete with rockery and waterfall. There are an array of finishing touches that can transform even the most basic of swimming pools.